Design and fabrication of solid state laser, laser applications in materials microprocessing, optical imaging. 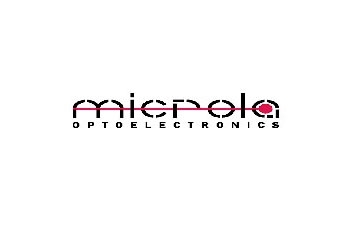 Microla Optoelectronics s.r.l. is a spin-off of Politecnico di Torino, formally founded in July 2006. The skills of the company goes from the realization of laser sources, both diode lasers at 808 nm and diode pumped solid-state lasers at 1064 nm to the optical and thermo-dynamical design of laser systems and the feasibility study of processes based on these sources. Precise characterization of the quality of the output laser beam is also currently performed in order to achieve a complete control of the processes being executed. Microla Optoelectronics’ laser sources are diode pumped solid-state laser systems, q-switched or continuous wave, entirely designed and assembled by the staff: the systems have been optimized for achieving high precisions necessary to perform fine processing such as micro-drillings, micro-ablations, micromachining, micro-welding and micro-cutting. Since Microla Optoelectronics is mainly keen on developing new solutions and experimenting new applications of its laser sources, the R&D division cooperates actively with the Department of Materials Science and Chemical Engineering of Politecnico di Torino and this allows Microla to perform both the characterization of the laser processes and the characterization of the materials being used such as silicon, industrial metals, polymers, ceramic materials. Laser machining is commonly used for fabrication of medical devices with microscale features, including vascular stents, drug delivery devices, and scaffolds for tissue engineering with controlled pore size and porosity. Microla with the strong know-how on both nanosecond and femtosecond pulsed laser technologies is able to achieve precision machinig of sub-micrometer features with minimal damage to the sorrounding material. Microla’s skills are also related to the design and fabrication of optical system related to data acquisition and spectroscopy; in particular expertises related on optical imaging have been developed. Microla Optoelectronics srl is involved in several research projects in collaboration with national and international industries and research centres.